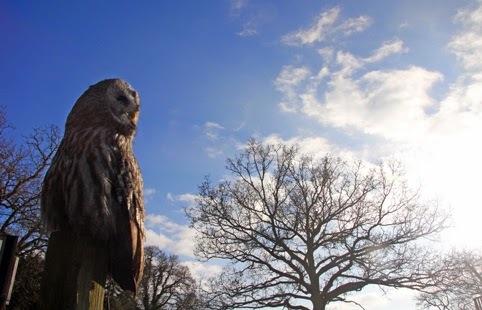 A bad witch's blog: In the Company of the Owls or the Larks? In the Company of the Owls or the Larks? Witches are supposed to be owls aren't they? I mean in the sense of people who prefer the night to the morning. I have to admit that I'm more of a lark myself - someone who can't help but wake up as the first rays of dawn lighten the edges of my bedroom curtain. OK, thicker curtains might solve part of the problem, but having cats doesn't help either. My cats have been waking me up at around 5am over the past week. The problem always happens this time of year - my cats think it is time to get up when they see the first glimmers of the new day. They want breakfast and then to be let out so they can enjoy the dawn chorus and try to catch second breakfast. Maybe I should just get up whatever time I wake up and make the most of the daylight. I guess it is what our ancestors would have done in the days before clocks. What do you think?